2018 Copa San Pedro playoffs begin! The regular season of 2018 Copa San Pedro came to an end this weekend at the Ambergris Stadium in San Pedro Town. The first round of matches were played on Thursday, October 11th starting at 7PM with Vince Assassins dominating with 10-2 over Young Strikers. In the next match, G-Strikers won 4-1 against Peacemaker. The following day, San Mateo F.C won Genesis F.C 3-2, followed by Legends F.C winning Los Catrachos F.C 2-1. The last game of regular season of Copa San Pedro 2018 was held on Sunday, October 14th with Boca Bombers winning 5-2 over Sandy Point. The first quarterfinals in the male category culminate on Sunday, October 21st starting at 5PM with Vince Assassins going against Talal F.C, followed by Boca Bombers versus San Mateo F.C. Everyone is invited to come out to the Ambergris Stadium and enjoy a weekend of football action. Food and drinks will be on sale during all games. Over the past years Belize’s marine resources have faced several challenges, including the dwindling of fish stock. Despite many Belizean fishermen practicing sustainable fishing methods, there are still concerns. As such, in 2011 the Managed Access (MA) program was piloted at Glover’s Reef Marine Reserve (GRMR) by Wildlife Conservation Society (WCS) in partnership with the Belize Fisheries Department and the Environmental Defense Fund (EDF) to change the ‘open access’ fishing paradigm in Belize to one of limited entry. The program aims to end open access to resources across Belize’s marine ecosystems by licensed commercial fishermen. Open access fishing allows licensed fishermen to harvest marine species (that are not protected by law) unrestrictedly, and this has resulted in overfishing, causing populations of certain species to decline over the years. The Ministry of Labour, Local Government and Rural Development in collaboration with the United Nations International Children’s Fund (UNICEF) and the National Committee for Families and Children (NCFC) hosted a two-day event, October 11th & 12th 2018, for mayors and councillors with responsibility for the implementation of the Sustainable & Child-Friendly Municipality Initiative (SCFMI). In accordance with the Intoxicating Liquor Licensing Act Chapter 150, Revised Edition 2011, of the substantive laws of Belize, the San Pedro Town Council (SPTC) along with the San Pedro Liquor Licensing Board (SPLLB) hereby announces to the general public and all Liquor License Holders that effective Thursday, November 1, 2018, in an effort to reducing noise pollution from various establishments and maintaining the Town of San Pedro as a Child Friendly Municipality, open bars will no longer be granted a weekly special license/extension. One of the first Halloween events to be announced in San Pedro! Wine de Vine invites to a Halloween for Wine lovers. Get those costumes ready! Today, the Ministry of Agriculture, in collaboration with Julian Cho Technical High School and the Food and Agriculture Organization, is hosting its annual World Food Day event, at Julian Cho Technical High School in the Toledo District. This year’s World Food Day theme is celebrated under “Our Actions are Our Future: A #ZeroHunger World by 2030 is Possible,” which underscores the urgent need to step up collective efforts to reach the Zero Hunger goal. BEL to facilitate maintenance works by Cenace at Xul-Ha, Mexico. Happening tomorrow, Saturday 19th. Some openings still remain. 30 women already registered. Sign-up by in-boxing or emailing her. Thanks! 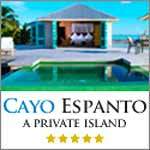 The Segovia Brothers Circus will be in Cayo for 10 days starting tomorrow. They'll be set up at the Macal River Park. Tickets are $10. "For the first time in SAN IGNACIO, Surprising Circus Brothers Segovia. with the most spectacular acts, the death balloon, trapeze artists, acrobats, the funniest clowns and all the wonderful world of the circus. 10 days only great premiere this Saturday 8pm. installed at the macal park. Its an amazing experience that you have to come to see. Circus Brothers Segovia. General fee: $10.00"
Today, the Belize City House of Culture and the Downtown Rejuvenation Project completed its zone two eliminations, We now have the eight schools that will be moving on to our Finals on Friday, 26th October, at the Bliss starting at 9:00 a.m.. Yesterday, seven schools participated in zone one and eight. in zone two today. Here are the results: This year all schools were allowed to register two candidates to participate and this is why Bernice Yorke will have two candidates in the final. Both of their candidates performed well their zone competition. We wish all of the candidates good luck as they will compete for approximately $18,000.00 in prizes. Catch the competition live on Love Fm as history will come alive! An exhibit by the Institute of Archaeology. We're excited to have José Rubén Sánchez Curiel from Cuba on a follow-up visit to strengthen our work in agroecology within the Maya Golden Landscape. Professor Ruben, as farmers now know him, is a plant pathologist and seed specialist from the Universidad Pinar del Rio, Cuba. Agroecology looks at understanding and linking climate smart farming practices with the protection of nature. 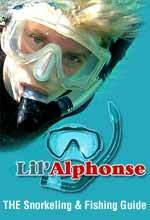 He returns to Belize due to heavy demand for his expertise. He has, already, visited Jalacte Roman Catholic Primary School to look at their vegetable garden project and provided recommendations. His return is also being supported by the Embassy of Cuba to Belize and GEF Small Grants Programme. The Cayo BTIA are having a Halloween mixer on Thursday, October 25th, at the Cahal Pech Village Resort. The membership meeting goes from 5:00pm to 6:00, and the event continues until 10:00. There will be food and entertainment. "BOO! Please do join us for a FUN NIGHT of Entertainment, Food, Costumes and More! We'll have a brief membership meeting between 5pm - 6pm and we encourage all of you to come out to learn about all the fantastic things we have in store for West Fest 2019 and your memberships. We encourage those of you who aren't current members, to also sign up to stay up to date with all our efforts and activities as well as benefit from the bountiful perks of being a part of BTIA Cayo Chapter. Wear your costumes!!! We'll be doing giveaways for the best costumes of the night. See you there!" Out and about in the South! Chargé d'Affaires, a.i. Keith Gilges and a team from the Embassy headed south this week to meet with contacts in Stann Creek and Toledo districts. It was an excellent opportunity to engage with civic leaders and entrepreneurs and learn more about their work. Join the Ya'axché Conservation Trust team as Research Assistant! We are securing the services of a Belizean Research Assistant – with a strong interest in conservation science – to contribute to our research and monitoring work in the Toledo District. He/she will be assisting the Science Director in ensuring the success of science and research activities, particularly focused on vegetation and mammal monitoring. Consultants, 12 more days left to submit your bid to develop a management plan for Maya Mountain North Forest Reserve. Ya’axché is currently implementing a project entitled “Innovative Protected Areas Management in the Maya Mountain North Forest Reserve of Southern Belize through the promotion of climate-smart agriculture,” with funding support from GIZ-CATS. Last night Felina James' family got the worst news- her decomposed body was found on the coastal road. Her throat had been slashed and the 36 year old mother of two was left in the bushes to rot. I spoke to her distraught aunt about her niece's brutal murder. Here is that story. Voice of: Lydia Bolon, Aunt: "You got what you wanted, you killed my niece, you killed her! I don't care who you are or where you are or what you are doing right now, God is above." Courtney Weatherburne, reporting: A direct message to Felina James' killer - her family overcome by anger and anguish. 3 months ago, Milton Maza and Eli Avila Lopez went on trial for the October 2010 double murders of attorney Richard Stuart, and his wife, Maria. These men waited for over 7 and a half years for their day in court, and they stood trial without jury in front of Justice Collin Williams. The judge heard the graphic details of the vicious attack that the couple suffered in their home in West Landivar, Belize City. The killers ambushed the coupe they returned home from a night out. A post-mortem found that they were both stabbed 25 times each, while their children were asleep in their bedrooms. Fortunately there were no fatalities in a terrible accident this morning. It happened around 7:15 between miles 2 and 3 on the Stann Creek Valley Road. 42 year old Karima Martinez was driving a white Ford Escape with her daughter 17 year old Kelsie Martinez. They were driving towards Dangriga. 70 year old Canadian national Synder Leander was heading towards Belmopan in her Toyota Hilux with her passenger 56 year old Ivan Jones - the two vehicles collided head on. It was a massive impact but everyone survived. In the video seen here, you can see the aftermath, as concerned residents ran to assist the accident victims. Police say Jones was treated and released. Last night we told you about the five buses with Central Americans that was being refused entry at the Western border. Well, they were allowed into the country later last night - after Immigration authorities satisfied themselves that this was not one of the feared Honduran caravan of asylum seekers that's been making international headlines. The Mennonite Community sent a letter verifying that the Hondurans and Salvadorans on the buses are a Church group, and that they have nothing to do with the Caravan. Last night, we told you about the press release from the Ministry of Education noting that they still have not been able to finalize the list of schools countrywide where teachers will be paid their hardship allowance. You'll know by now that this stipend of between $100 to $200 is paid to teachers who have to slog through rough terrain, or those who traverse long distances to get to work. The BNTU complained that the Ministry's revised list for this year disenfranchised some teachers because either their schools were cut from the list, or their allowance was cut because the Ministry's officials assessed that their hardship has lessened over the years. So, What If Guatemala Refuses To Accept An ICJ Decision? But what if it is settled and, let's say, Belize wins, but then, the Guatemalans still don't honour the judgement? We asked the Professor about that possibility:.. Carlos Bernal, Professor of International Law - ITAM: "The court has a judgement and it has no appeal. It's final. It's totally binding and totally no appeal and therefore both countries will be oblige by the judgement." Reporter: "Obliged, but what happens on the ground? They may be obliged internationally, but the court cannot jail a sovereign nation. Lock up the president or the prime minister. So then how is this enforced and actualized?" Carlos Bernal, Professor of International Law - ITAM: "You said it perfectly well. The International Court of Justice has no authority, has no mandate, has no police. So if one of the countries does not comply with the judgement, it has no way to enforced it otherwise." Another woman is missing, this time along with her baby, East Collet Canal business owner Emperatriz Portillo reported that on Tuesday morning around 7:00 a.m., her friend, only known to her as Ruby Petino left her home along with her 1-year 8-month old baby. She was heading to her workplace at mile 8 on the George Price Highway. She has not returned since. If anyone see this woman and a young baby, please contact the police. Police made two major drug busts yesterday. In the city on Albert Street, police searched Andrew Hepburn's house and found 10 pounds of weed, 3 ounces of cocaine, 6 ounces of blue pills, and $12,580, both in Belize and US dollars. Looks like a major illicit operation, and police arrested and charged Andrew Hepburn, Shane Flowers, Anthony Gilharry and Lisha Ramirez for possession of a controlled drugs with intent to supply. Hepburn was also charged for drug trafficking. The other big bust was in Corozal. Police were on mobile patrol on the Patchakan road when they spotted a suspicious Black Toyota 4 runner. A man in the vehicle threw something out of the window when he saw the police. The police pulled up to the vehicle and took everyone out. Police found the grey knapsack one of the men had thrown out. 11 pounds of weed stacked in 5 parcels were stuffed inside. Deon Arnold, Ian Young and Alex Lewis were all charged with drug trafficking. Burglary of At PG Church? All churches have an open door policy, everyone is welcomed to worship, but some people just take it too far. Yesterday, someone burglarized the Saint Peter Claver Parish in Punta Gorda. The thief or thieves broke the tabernacle and stole the chalice from which the communion host is reserved. The American Priest, Penn Dawson said he had mass yesterday morning and left the parish open as he normally does. But when he returned at 2:00 in the afternoon, the gold chalice was gone. But police have recovered it. Litigation Risk: What’s at Stake for Belize? Minister Patrick Faber is Pro-I.C.J. Will Mexico’s Free Zones affect Belize? A meeting between the negotiating teams of the Christian Workers Union (CWU), representing stevedores, and representatives of the Port of Belize Limited (PBL) — their employer, was brokered today by the Minister of State in the Ministry of Labor; Dr. Carla Barnett. When the meeting ended, however, there was still no agreement between the two sides to end the impasse between them, and this prompted the Minister of Labor to extend the 21-days’ strike notice that the CWU had issued, which was due to end tomorrow, by an additional 10 days, during which time government is expected to set up a tribunal to resolve the impasse between the parties. Each side spoke to the media as they exited the Labor Department office on Belize City’s Albert Street, where the negotiations were held. At about 2:00 Sunday morning, Noel Leal, Jr., 33, a car dealer of Ladyville, Belize District, was found slumped dead over the steering wheel of his Volkswagen van, which was parked on a road in Mahogany Heights. Police said that Leal, the son of Assistant Commissioner of Police (ACP), Noel Leal, Sr., of the National Police Headquarters in Belmopan, had been shot in the back of the head. The bullet exited through his forehead and burst through the windshield of his vehicle. Who killed Felina James, 37? A mother of two children has been found dead after she was missing for seven days. Felina Margaret James, 37, dropped off her children at a babysitter a week ago, and concerns began growing when she didn’t return for them. 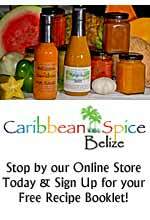 Belize has become such that most Belizeans were fearing the worst, and the worst has come to pass. On Saturday, October 13, Ivette Roches, 69, reported to police that two days earlier, on Thursday, October 11, James left her two sons, ages 2 and 7, in her care. The two women had arranged for Roches to babysit the kids while James went to her home in the beautiful seacoast village of Sarteneja, Corozal District, to pick up some items, because she was in the process of moving to Belize City. The Caribbean Court of Justice (CCJ) issued a ruling on Friday, October 12, in regards to the appeal of Cruise Solutions and Discovery Expeditions, two tour companies owned by businessman David Gegg, who has been engaged in a protracted legal battle with the Commissioner of General Sales Tax (GST). The court ordered the GST Commissioner to refund the taxes it collected from the two companies because under the GST Act, the companies were zero-rated. The CCJ ruling overturned a Court of Appeal decision which ruled in June 2016 that the companies were not zero-rated and must pay the GST. The Caribbean Court of Justice (CCJ) handed down its decision regarding the case of Titan International Securities, which was seeking in excess of four million dollars in compensatory damages from the Government of Belize for the violation of its constitutional rights when police raided its offices in September 2014. The Belize Government raid was carried out in cooperation with the United States, where an indictment against Titan principals was unsealed. The CCJ, however, set aside the US4.6 million dollars in compensatory damages that was awarded by Supreme Court Justice Courtenay Abel, and substituted in its place BZ$100,000 in vindicatory damages for the manner in which the police raid was carried out. The University of the West Indies (UWI) was included among the top universities listed in Times Higher Education’s (THE) World University Rankings. Today, UWI held a press briefing to discuss this accomplishment as well as what it means for the university’s strategic agenda. UWI is the first and only Caribbean institution that has been listed in THE’s World University Rankings — being placed at the 591st spot out of the best 1,258 universities worldwide. Although UWI is a relatively young institution, being in existence for only 70 years, it has thus achieved a ranking in the top 5% of the over 2,500 recognized universities globally. A 1-nil shocker for Belize; respect to Montserrat! In all our years of struggle in CONCACAF play and World Cup qualifiers, there was always one consolation for Belize, and that was our dominance over a few teams on the lower end of CONCACAF and FIFA ranking. So that we posted convincing wins over St. Kitts and Nevis in the last World Cup qualifiers, and likewise against Montserrat, where Deon McCaulay had a hat trick in 2011. Belize even reached the 2013 Gold Cup. And, with rejuvenated FIFA funding for development, after a turbulent election process was finally settled in December of 2017 with a new FFB Executive headed by Sergio Chuc, things seemed on the upswing for Belize football, evidenced by the country-wide U-15 and U-17 male and female tournaments, and our national youth and senior “A” teams participating in a number of regional tournaments. The games of the previous weekend were all canceled due to the weather, but this past weekend was great, as we had lots of games ongoing in the Corozal Football Association (CFA) U-15, U-17, U-10 and Female U-17 tournaments. This upcoming weekend, it’s our semifinals, which will be played on Sunday only at the Ricalde Stadium. We would also like to mention that on October 27, we will start our First Division tournament; a total of 8 teams will be participating. This past week marked the 10th week of our ongoing U-15 Male and U-17 Male Tournaments. We are pleased to report that all games have been a success. Over the weekend in Dangriga Town, Mayor Humphreys Bi-monthly Individual Pool Tournament at Aba Isieni Cool Spot had 22 players from across the Stann Creek District and Dangriga Town partaking in a very intense competition. The senior veteran “Squa” emerged as the victor for this tournament. The winners were: Charles “Squa” Rivas in first place; Jose “Pollo” Moralez, second place; and Edwin Vargas, third place. U-15 football: Rookie Strikers and Julian Cho Technical have both qualified to play the championship match, while Columbia and Medina Bank will play for third place in the U-15 football tournament. U-17 football: In the U-17 football tournament, Columbia and Toledo United will play in the championship match, while Big Falls and Estrellas will meet in the third place match in the U-17 football tournament. Senior Amateur football: The Normalizing Committee invites teams to an important meeting on Saturday, October 20, at the Victor Sanchez Stadium, beginning at 9:00 a.m. The purpose of the meeting is to discuss the rules and regulations in relation to a Senior Amateur tournament which is expected to kick off on Sunday, November 4. The economy of Belize has experienced, we submit, two dramatic changes since modern party politics began in British Honduras in 1950. The mainstream economy here in 1950 was based on the extraction of mahogany and other hardwoods, and chicle, from the forests for exportation to Great Britain and the United States. It was specifically to work in the woodcutting industry that African slaves had been imported into the Settlement of Belize in the seventeenth, eighteenth, and early nineteenth century. By 1950, the colony’s forestry resources were dwindling, and Belizean workers were travelling abroad, to Panama, Guatemala, and the United States in search of work. The Mayans and Mestizos of the villages in the Corozal and Orange Walk Districts had been farming food crops, as had the Creole people in the villages of the Belize River Valley and along the banks of the Sibun. Between 1951 and 1970, the sedition law in British Honduras/Belize was used to arrest and try five Belizeans in the Supreme Court. Three of these five were leaders of the anti-colonial People’s United Party (PUP) – Leigh Richardson and Philip Goldson (tried, convicted, and jailed in 1951), and George Price (tried and acquitted in 1958). In 1951 and 1958, British Honduras was still a Crown Colony, and the British were in absolute control of the police and the judicial system. In early March of 1970, however, British Honduras was a self-governing colony, and native Belizeans were in charge of the police and the judicial system, when Evan X Hyde and Ismail Omar Shabazz, president and secretary/treasurer, respectively, of the United Black Association for Development (UBAD), were arrested and tried in the Supreme Court under the sedition law. It was on the morning of a GENERAL STRIKE called for Tuesday, March 31st by the Public Service Union (PSU), to press their demand for a People’s Referendum on the 1981 Heads of Agreement signed by GOB in London, England, March 11th. The PSU strike was backed by the Belize Action Movement (BAM), and the Youth Popular Front (YPF), the youth arm of the UDP. The Belize Chamber of Commerce and Industry (BCCI) was also sympathetic to the cause of the popular uprising. Noisy demonstrators began invading high schools by 7:30 the morning, including the Belize Technical College, St. Michael’s, St. Hilda’s, Wesley, St. Catherine, Excelsior, Pallotti, Nazarene, Junior High 1, and St. John’s College urging, and at times coercing, students to abandon classes and join the strike. Our Government, supported by their erudite surrogates and some of our duplicitous “friends”, posits that we have nothing to fear if we vote Yes-to-the-ICJ next April. 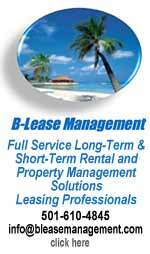 They claim that Belize has nothing to lose, since it is clear that we have a watertight case. If this is really true, do you honestly believe that Guatemala is so ignorant and stupid, even with factoring in the global power and influence of their world-class strategists and formidable backers, that they would be so gung ho to take their claim to the ICJ for final resolution if they had nothing to gain? I find myself unable to buy this argument. The incontrovertible reality is that if we go to the ICJ under the conditions a yes-vote in the upcoming referendum would invoke, then there will indeed be gaping holes in our alleged “watertight” case. Dr. Assad Shoman wrote in his little black book, Pocket Guide to the Referendum on the ICJ: “By around 1700, however, Spain no longer had much presence here…” Well, guess which European power filled the vacuum? After the Americans had consolidated their victory in their war of independence (1775-1783), that nation started to flex southward. Other European powers, notably the Germans, were nosing around, but the great challenge to the British would come from its former colony, the USA. Last year the Amandala carried an excerpt from a paper a lady named Anna Ella Carroll wrote to US president Abraham Lincoln, in which paper she told about all the virtues of Belize and all the Americans could do with it if they got a toehold. Of course, the Americans had designs on Guatemala and other countries in our hemisphere too. Two family members of a Belize City man who has been accused of arson but was never indicted and tried for the offense, because he was declared mentally unfit to go through a trial, want him released from the Belize Central Prison, where he has been held for almost 10 years. In January 2008, Earnest Billary visited his sister, Dawn Billary, at her house at 10 Hibiscus Lane in St. Martin De Porres. The purpose of the visit was to ask his sister if he could stay at her house. She refused, and Earnest, who had just completed serving a jail sentence a week before, allegedly threatened her. Two Guatemalan policemen have been remanded until December 12 after they were taken to the San Ignacio Magistrate’s Court on Tuesday on charges of keeping a prohibited firearm and keeping ammunition without a gun license. The two Guatemalan cops, identified as Jose Juan Garcia Palma, 31, of Los Amates Izabal, Guatemala, and Armando Hub Pop, 35, of Coban Alta Vera Paz, Guatemala, were busted in their vehicle in the Western Free Zone in Benque Viejo Del Carmen at about 10:30 Saturday morning with an Uzi submachine gun, and twenty-five 9mm live rounds. A German woman was robbed and raped in Teakettle on Friday, October 12, after she hitched a ride with a man on a motorcycle who was accompanied by two other men on another motorcycle. The woman, 44, a sales manager and resident of Cayo, reported to police that around 10 p.m. on Friday, she was socializing in San Ignacio and hitched a ride to Belmopan with the aforementioned man on a motorcycle. Instead of taking her to Belmopan, however, the men took her to a construction site in Teakettle. Japhet Bennett, a convicted murderer who was serving a life in prison sentence, was released from the Belize Central Prison yesterday evening, after the Caribbean Court of Justice (CCJ) ruled to overturn his conviction due to unreliable identification evidence from a witness at his February 2013 trial in the Supreme Court of Justice Adolph Lucas. The jury found Bennett, 25, guilty of the September 13, 2009 murder of Ellis “Pepper Gacho” Meighan, who was shot to death on Central American Boulevard, a stone’s throw away from his Banak Street home. There is growing concern among the business community and in political circles over a recent announcement by Mexican President-Elect, Andres Manuel Lopez Obrador, that Quintana Roo and other Mexican border states would be converted into free-zone states with significantly lower Value Added Tax (VAT) rates and standardized prices on fuel. Many fear that the move will be the nail in the coffin of the Corozal Commercial Free Zone, which has already seen a number of businesses close down due to a lack of productivity in the sector. The labour dispute over longer hours of work for waterfront workers of the Christian Workers Union and the Belize Port Authority has been blown out of all proportion by the narrow and wholly unrealistic view of the Belize Port Authority. The Port Authority has discovered that for safety reasons waterfront workers and stevedores should not be working more than eight continuous hours a day. The Port Authority now wants to restrict workers to the legal limit by removing the option port workers now enjoy to earn more take-home pay through overtime. Former Judge at the International Court of Justice (ICJ) and Law Professor, Carlos Bernal, says that Belize has a strong case if we decide in our Referendum next April to take our territorial dispute with Guatemala to the ICJ for a peaceful settlement. The legal expert was speaking to a group of local journalists in Mexico City today as part of a sponsored US Embassy ICJ Education Campaign dubbed “From Fear to Facts; Demystifying the International Court of Justice”. The campaign involves a trip next month to the Hague in the Netherlands, Europe, which would make a final ruling on whether or not Guatemala has a legitimate claim to Belizean territory. The family of the late Milo Paz, the veteran pilot, who reportedly perished while flying a private plane near Panama on October 7, is still awaiting his remains. Today, Paz’s wife told the Reporter that they are in the process of finalizing documentation to bring her husband’s remains back to Belize. Hence, a funeral has not yet been planned. This morning Milton Maza and Eli Lopez were both found guilty of the murders of attorney Richard Stuart and his wife Maria in 2010. Sentencing has been reserved for November 9th. Police are asking the public’s assistance in locating missing August Pine Ridge teenager Shamily Tillett. Tillett left home to go to an internet cafe on September 24 and has not returned since. Police say that she is believed to be with Alex Chan, 27, also of August Pine Ridge. Tillett’s family told police that Chan had approached them expressing a desire to have a relationship with her, but the family refused to accept that because of the girl’s age. Following reports last week of the deplorable condition of the San Ignacio Fire Station, government officials including Minister Edmond Castro, CEO Ruth Meighan, and Mayor Earl Trapp, responded by noting there were efforts underway to upgrade the National Fire Service but did not discuss specific plans for the San Ignacio Fire Station. Saturday’s farmers’ market at Banyan Bay was delightful. Lots of room to shop around. The vendors had some neat stuff from handcrafted jewelry to freshly baked quiche. They had make-up and books, artworks, beautiful wood carved home items and more. Chez Caribe owner Jack was playing cribbage next to the bar cart and said to tell everyone he’ll be there every Saturday if anyone wants to play with him. They also had live music. It was a perfect event. It is good to shop locally and help small businesses grow bigger. There are lots of really tasty treats for sale. You will find some great handmade bags, jewelry and so much more to stylize yourself. There is a great selection of environmentally friendly lifestyle products as well. Many of the sellers are also my friends. An Accidental Tourist, Daddy-Daughter Adventure. My father once told me, “never promise what you can’t deliver.” For years, Maddie has been talking about visiting Belize with her dad. As most of you already know, Ambergris Caye has been my international destination of choice for nearly a decade. Usually, I try to visit my home by the sea “Sorry Hampton,” three of four times a year. The decision originally came in the form of economics. 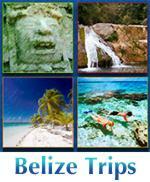 It’s cheaper to travel to Belize than many United States cities. In time, (a short time) it became my favorite place. Great people, wonderful weather, and fantastic food! Earlier this year, her brother (Glenn Jr.) and I visited for his first international trip. Since Maddie didn’t have her passport at the time, she and I explored South Florida. It was far more expensive there for 3 days, than a week in Belize. I always told her, “I’m taking you before you go to high school.” For her, high school begins after Labor Day 2018, so Daddy was running out of time. Jamaica’s senior women’s national soccer team, the Reggae Girlz, has qualified for the World Cup, making history on the island and beyond. The Reggae Girlz defeated Panama’s women’s national team on Wednesday in a penalty shootout after a 2-2 draw. The Panamanian team is scheduled to play Argentina next month and still has a chance to qualify for the cup. Reaching the FIFA Women’s World Cup, to be held next year in France, was not only a first for Jamaica. The Reggae Girlz became the first Caribbean team to qualify for the tournament, FIFA said. On October 10, 2018, Belize officials participated in the 5th meeting of the Multilateral Fruit Fly Commission held in Mexico City. Attending were Jose Alpuche, CEO in the Ministry of Agriculture, Emir Cruz, Managing Director of Belize Agricultural Health Authority (BAHA) and Medfly Coordinator Hernan Zetina. During the meeting, the Fruit Fly Control Cooperative agreement was signed between the United States Department of Agriculture, the Ministry of Agriculture, and BAHA. Dr. Mike Watson, Administrative Assistant of the USDA Animal and Plant Health Inspection Service (APHIS), signed on behalf of the USDA. Jose Alpuche signed for Belize. A new mentorship scheme to encourage the next generation of women into the maritime sector has been launched at the annual conference of the Women in Maritime Association, Caribbean (WiMAC), which is being held in Belize City, Belize (16-19 October). This type of scheme is consistent with IMO’s Women in Maritime programme, which supports the participation of women in both shore-based and sea-going posts, in line with the goals outlined under the United Nations Sustainable Development Goal 5: “Achieve gender equality and empower all women and girls”. The mentorship model will be used as a blueprint throughout the IMO-supported regional Women in Maritime Associations. Archaeologists have uncovered 61,480 structures in Guatemala — a number the lead author in the study called “humbling.” In the autumn of 1929, Anne Morrow Lindbergh and her husband, Charles, flew across the Yucatán Peninsula. With Charles at the controls, Anne snapped photographs of the jungles just below. She wrote in her journal of Maya structures obscured by large humps of vegetation. A bright stone wall peeked through the leaves, “unspeakably alone and majestic and desolate — the mark of a great civilization gone.” Nearly a century later, surveyors once again took flight over the ancient Maya empire, and mapped the Guatemala forests with lasers. The 2016 survey, whose first results were published late last month in the journal Science, comprises a dozen plots covering 830 square miles, an area larger than the island of Maui. It is the largest such survey of the Maya region, ever. Although their contribution to global warming is negligible, Caribbean nations are bearing the brunt of its impact. Climate phenomena are so devastating that countries are beginning to prepare not so much to adapt to the new reality, but to get their economies back on their feet periodically. “We live every year with the expectation that we will have to go through the experience of rebuilding our communities and our infrastruc­ture,” Molwyn Joseph, Antigua and Barbuda’s minister of health, wellness and the environment, told IPS in the Argentine capital. “We try to adapt to climate change by building more resilient infrastructure, but the adaptation is not the main issue in our minds. We are thinking about recovery after disasters,” added the environment official of the small island state of some 100,000 inhabitants, located between the Caribbean Sea and the Atlantic Ocean. Maya event at Corozal House of Culture, 16min. Saint Francis Xavier Credit Union "International Credit Union Day", 22min. Saint Francis Xavier Credit Union held its very successful and enjoyable credit union "International Credit Union Day" in Corozal Branch. Yesterday was observed as International Credit Union Day under the theme “Platinum lining” The day was observed with the aim of highlighting the movement of credit unions, their history and achievements. They are celebrating 37 years of services in Belize. Credit union workers, invited guest and Media filled the chairs by 4pm. Belize Scoop has understood that This event took place for Miss 2018-2019 Queen to represent Corozal Credit Union across Belize. Birding in Belize: Birding at Black Rock Lodge, 5.5min. For our second episode of A Day in a Birder's Life series, we went birding with Black Rock Lodge. Black Rock Lodge is an eco-lodge located about six miles away from San Ignacio Town. According to eBird, Black Rock Lodge is listed as the #1 birding hotspot in Belize with around 318 bird species. Cave Tubing in Ancient Mayan Cave, 9.5min. 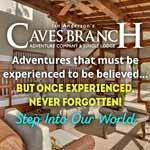 We are going cave tubing in Nohoch Che'en Arachaeological Park in Belize. 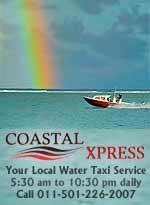 We have gone from Caye Caulker and rode a ferry back to Belize City where we met one of our guides, Gustavo. He works with Major Tom who is hired by Tsunami Adventures. He was like our cabby plus a tour guide all in one. We did not have to put out any extra money except tipped a little to show our gratitude. The park entrance is $10 BZD if you go on your own. The tour guides are all knowledgeable and kind which made the experience all the better. Wil Flack: Three Biggest Threats To Belize Fisheries, 1min. Belize fly fishing guide, Wil Flack, shares his thoughts on the three biggest threats on the fisheries in Belize. Best Snorkeling Spot, 3.5min. The best snorkeling we've ever done! 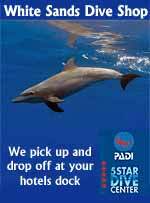 We swam with sharks, stingrays, turtles and more! Caye Calker, Belize. Liberty of the Seas - Belize tour 2018, 7.5min. Liberty of the Seas - Belize tour 2018. The 2nd port of call on the 7 night cruise from Galveston, TX. Ambergris Caye Belize, October 2018, 10min. Birding at the Tourism Conference 2018, 30min. Tourism Industry Conference | Travel Trends in Heath and Wellness Tourism, 11min. Tourism Industry Conference | Travel Trends in Heath and Wellness Tourism, 30min. Iguana Conservation Project, San Ignacio, 3min. We left Caye Calker and headed to San Ignacio for 3 nights. The first day we got to get close to these iguanas at the Green Iguana Conservation Project in San Ignacio Resort Hotel. The tours were every hour during the day and lasted about 45 minutes. Secret Beach Belize - Future Development, 3min. 2018 has been a big year for Ambergris Caye and up and coming areas like Secret Beach. And many more homes, businesses and commercial opportunities are on the schedule for 2019. Bringing more activity and infrastructure to this booming area. This video shows a few of the business north and south of Secret Beach and where the development is heading. Caye Caulker Turtles - Belize, 3.5min. A couple of great turtle encounters while diving off Caye Caulker with Frenchie's Diving. 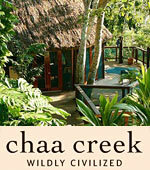 Chan Chich Lodge - Best wild life lodge in Belize, 2.5min. Set within a 3,000-year-old Mayan plaza and surrounded by 500,000 acres of conservation land, Chan Chich Lodge Belize is home to over 370 species of tropical birds. It is noted as one of the world’s best places to spot Jaguars, Pumas and Ocelots in their natural habitat. Chan Chich is also home to Belize’s only coffee plantation and an agroindustry that has been utilizing sustainable practices for over three decades. , 7min. Lisa Carne is fighting to save corals in Belize! In 2015, she was recognized for her work by Oceana as an Ocean Hero. Today, her work is more relevant than ever to inform decision making in order to ensure endangered corals are not being destroyed or threatened. Thank you for your invaluable contribution to Belize Lisa Barbara!